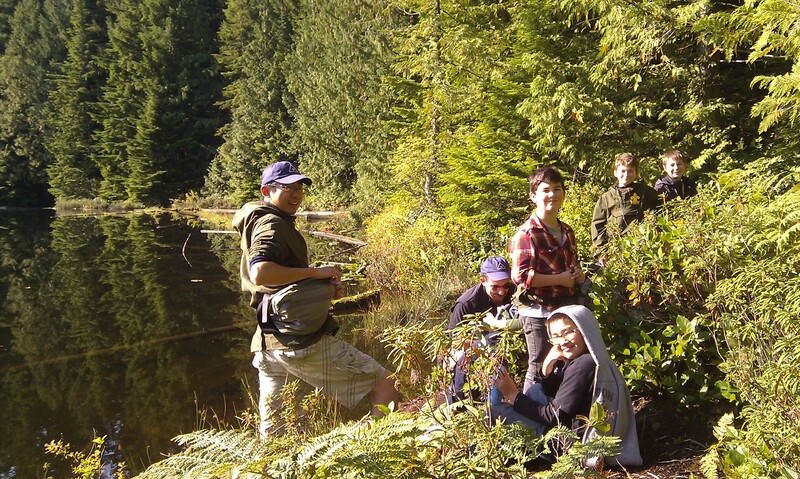 Here’s a few photos from our camp this weekend at Alice Lake Provincial Park. We will do a slide show and share ”glory stories’ during the first part of our next meeting. Parents are welcome to participate. Lunch in the sun during a Sunday morning hike. 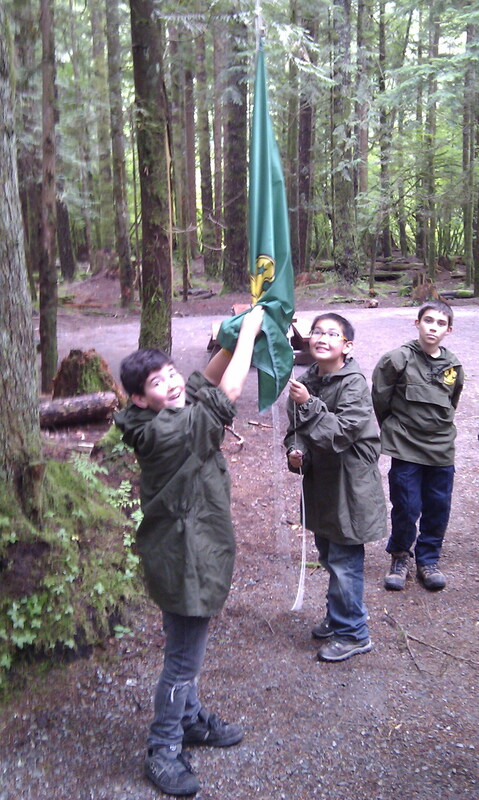 New Scouts Hoisting their first flag! 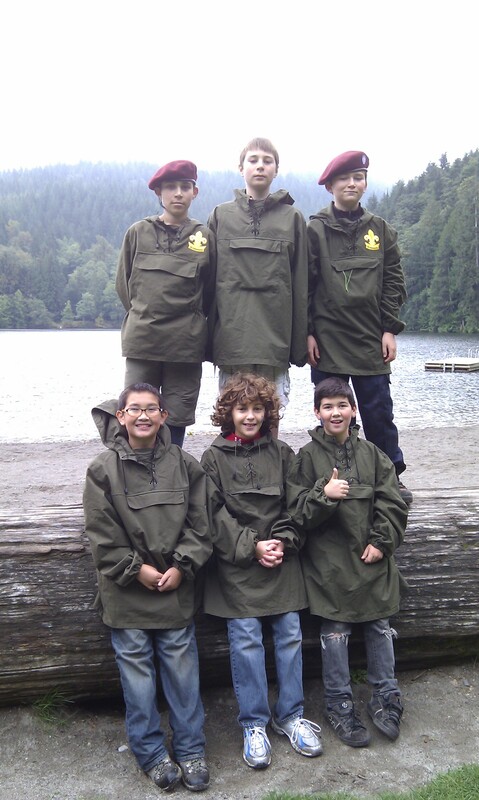 The new 5th West Van Scout Troop on their first camp!